Juna Mahal in Dungarpur is a seven storied building with an architectural design of a fort was constructed during 13th century. The walls are adorned with mirror and glass works. Tourists can also see several picturesque miniature paintings and frescoes on the interiors of the palace. The place has turrets, corridors and a narrow entrance.Located on the foothills of Dhanmata hillock, this 700 year old palace also known as 'Bada Mahal' or 'Purana Mahal'. With two storey basement out of seven storeys, it was constructed on a high platform with Dawra stone. This palace has one staircase which is connected to all wings of the palace. Its entrance Rampol with Tripoli gate attracts tourists in large numbers. Juna Mahal is famous de to the use of local Parewa stone in its construction. Parewas stone windows with detailed hand worked pane looks very beautiful. Marwari styled glass and wall paintings and glass pieces arrangement with color paintings is marvelous. 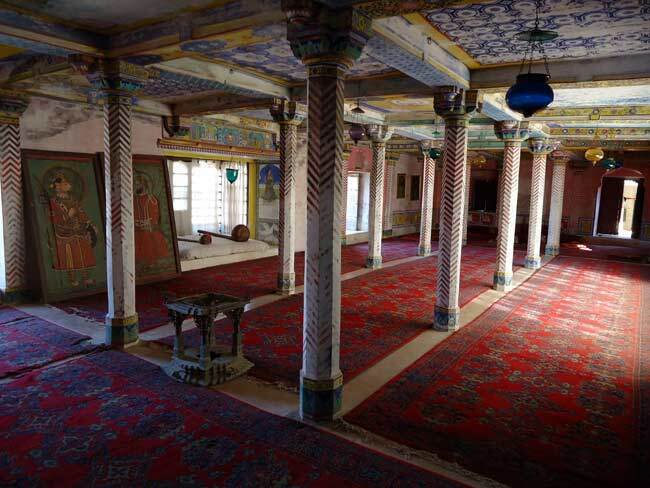 Its mesmerizing paintings along with mature Rajput style of architecture attract everyone eyes. Rawal Veer Singh Deo started its construction in Vikram Samvat (Hindu Calender) in 1939 on Kartik Shukla Ekadashi. His son Rawal Bhuchand , realised its importance and transferred capital of Dungarpur to this palace. But its construction completed in 18th century. 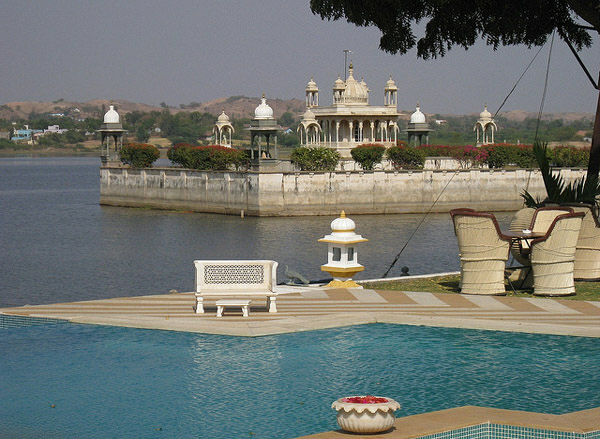 By Road: Juna Mahal is located on the southern part in Dungarpur city. One can easily reach here by bus or taxi. By Rail: Juna Mahal is well connected through nearest Dungarpur Railway station to major cities railway stations like Delhi, Agra, Mumbai, Chennai, Bikaner, Jodhpur, Jaipur, Ahmedabad. By Air: Juna Mahal can be reach through nearest Udaipur Airport (132 km) which is well connected with regular domestic flights to Delhi, Kolkata, Mumbai, Ahmedabad, Jodhpur and Jaipur.